We saw in this previous post how to migrate from MariaDB 5.5 (default on CentOS/RedHat 7) to MySQL. This was a straight forward migration as at the time MariaDB was a drop in replacement for MySQL…but this is not the case anymore since MariaDB 10.x ! Lets get started with the migration to MySQL 8.0 ! It’s recommended to avoid to have to deal with mysql. * tables are they won’t be compatible, I recommend you to save all that information and import the required entries like users manually. It’s maybe the best time to do some cleanup. MariaDB doesn’t provide mysqlpump, so I used the good old mysqldump. There was a nice article this morning about MySQL logical dump solutions, see it here. These operation above need to be repeated for all the tables ! If you have a large amount of table I encourage you to script all these operations. This will start the initialize process and start MySQL. Now we need to create our database (wp), our user and its credentials. – Drupal and MySQL 8.0.11 – are we there yet ? By default, this password (fred) won’t be allowed with the default password policy. This process is also defined by the options chosen earlier. This operation is more complicated as it requires more steps. Yes, this is required for all tables, this is why I encourage you to script it if you choose this option. So as you could see, it’s still possible to migrate from MariaDB to MySQL but since 10.x, this is not a drop in replacement anymore and requires several steps including logical backup. But it is still Oracle, and everything they touched got…. 🙂 nope, even with shiny Features not. What can I do with my 5TB instancia? Dump is forma sandbox databases. You should read it completely, check the second option. Thank you for pointing out that project that I didn’t hear of before. 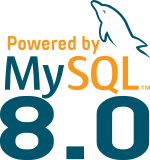 Are you 100% sure that all .ibd files created by MariaDB 10.3 can be imported by MySQL 8.0.x? Curently on the small test I did, it seems so (unless you have more info). However, I believe that it won’t remain de case in the future as both InnoDB formats are also diverging. I checked what I had in mind, and indeed if you have used `ADD INSTANT Column` feature that are different, you will need an extra step to rebuild the table (using ALTER FORCE). – You shouldn’t be using MariaDB/Percona only features (encryption or compression). – Import is also a slow process; all the pages need to be checksumed again.